I am addicted to Angry Birds. I don't have an iPhone. I don't have any kind of phone that I can play it on, but I bum off of other people like my neighbor Kirsten. 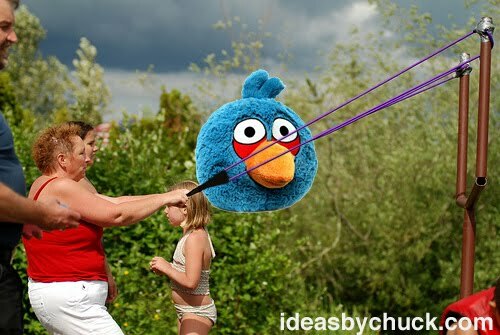 I can't get enough of Angry Birds. I think many of you know what I am talking about. You know. You know. You KNOW! Your hands are probably shaking right now. You want to stop reading this and start playing Angry Birds, don't you? DON'T DO IT! Well... wait till you finish reading this. I have heard all kinds of rumors about an Angry Birds movie, a cartoon, a video game... oh wait, it is a video game. Anyway, I have heard all these rumors, and I don't know how I feel about any of these ideas, but they got me to thinking... and you know, thinking is something I can really do. What did I think up? What is my new idea? Duh! The title of this post was kind of a spoiler. I think that the perfect, most amazing, expansion of the Angry Birds universe would be into a game show where families compete for fun and fabulous prizes designed for a specific demographic, prizes like jet skis. Two families would compete, like I said, for fabulous prizes. The format would be similar to Double Dare, alternating between quiz questions and physical fun! The quiz rounds would be to win extra ammo and extra building materials, and of course to gain extra knowledge. After the quiz questions, families would take turns shooting weighted plush stuffed animal versions of the Angry Birds out of a giant slingshot similar to those designed for water balloons, in an attempt to crash the other family's fort filled with giant water balloons filled with slime, rigged to explode at the slightest touch. The fun would come not only from the shooting, but the building. In each round, both families would be given building materials and time to build a fort to protect their balloons. The building family would have to stand under a giant bird. 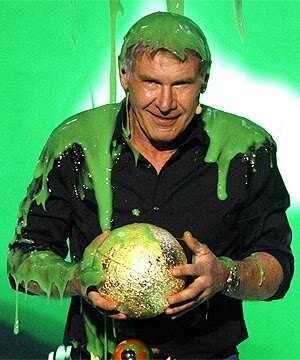 If all of their slime balloons get destroyed, the bird poops slime all over them. Sounds like fun right?! Don't you F'n want to travel to Nickelodeon Studios for a chance to be a contestant?! This game doesn't have to be for kids only. Adults love to build stuff too! The show could possibly be designed in such a way where the competing teams are made up of co-workers from various small businesses. Teams would compete not just for fabulous prizes, but also to help advertise their bicycle shop, coffee shop, or adult bookstore. People are loving these kinds of shows these days! Take this idea! Talk to the people at Rovio. Talk to the people at Nickelodeon, ABC Family, or Bravo, and make this show the cornerstone of your game show empire. Make millions of dollars... and don't forget me. Send me a little bit of money, or at least some fabulous prizes. Please. P.S. You can subscribe to Ideas By Chuck. Really. It is easy. Click Here. P.P.S. Several of my ideas have come to life in one way or another recently. You should read back through my old ideas. Just because they are my old ideas, doesn't mean they aren't new to the world. Your fortune could be buried here in my blog. P.P.P.P.S. 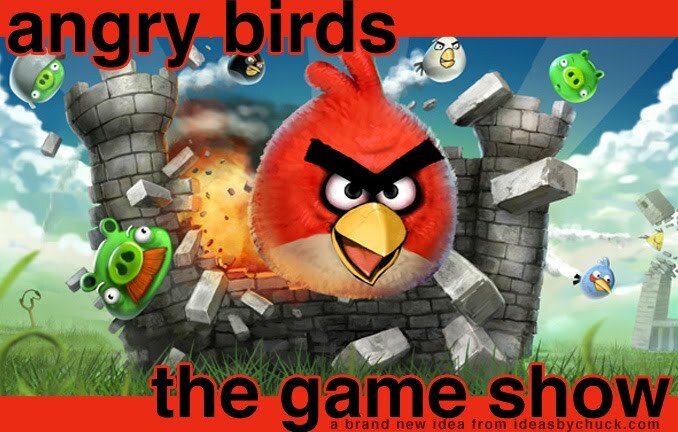 If you have no idea what Angry Birds is, and you are angry at me about this idea, watch this. Sounds really funny and interesting. I am also going to download it into my PC. I simply like to watch game shows. They are very exciting and enjoyable. Ahaa, angry birds is one of my most favorite wifi free game and I can play this game all day without any break. Such an awesome game it is. 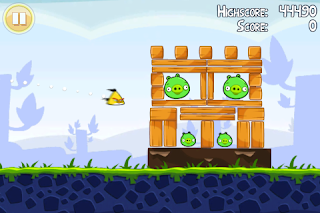 Angry birds is the first choice for everyone while it comes to the best free wifi games without wifi. The game is very interesting and addictive. I just love to play it even I love to play all games but it should be nowifigames. Because consuming data on playing games is not a good idea. Go to this page and you will find many and play games without wifii. Just imagine a long traveling by road. No internet connection of yours’ or a wifi connection to borrow from someone else. In such situation, no wifi games are best to play. Game lovers always want charges phones but wifi use charging faster that is why no wifi games are new game changers. Free games without wifi are new treat for game lovers.Because consuming data on playing games is not a good idea. I read this piece of writing fully about the resemblance of newest and previous technologies, it’s remarkable blog.